If you are purchasing or refinancing a home, there’s a good chance you’ll need a termite/wood destroying insect report in order to meet your mortgage company requirements. This is true especially for FHA and VA insured mortgages. Although the inspection looks for signs of damage from any wood-damaging insects, the standard Wood Destroying Insect Inspection Report form commonly used to present the results is often referred to as a “termite clearance letter” or NPMA-33. The letter lists the requirements and the limitations of the inspection and specifies the findings that must be reported. As a Kentucky Licensed Pest Control Operator (LPCO-14402) InspectorUSA provides these inspections for our clients. If you are a home inspection client your termite inspection and clearance letter is included as part of that service package. We also provide a stand alone service for those needing just the inspection and clearance letter. Fees for this service are affordable and based upon the total square footage of the building being inspected. 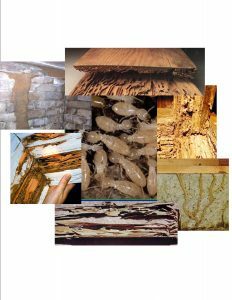 All of InspectorUSA’s termite clearance letters include our exclusive 90 Day Termite Protection Plan* designed to protect you should termites show up in the structure during the first 90 days after the inspection. Should this occur InspectorUSA will provide treatment to resolve the issue. *See Plan Documents for details and coverage’s. Annual termite inspections are essential for early detection of termite activity on the property to prevent the potential for large scale damage and expensive repairs. Inspections also assess the conditions that make a property more susceptible to wood destroying organisms and minimize the risk of attack. Many homes in the U.S. are at risk from termite attack. A comprehensive annual termite inspection by InspectorUSA is the best protection against termites. It can detect termite activity and prevent long term damage to your property. The problem with calling most pest control companies for your annual termite inspection is that many times they are biased because they want to sell you a termite treatment. Most will provide an inspection free of charge in hopes of selling you a treatment even if they don’t find a problem. At InspectorUSA we provide our termite inspection service at a very affordable rate and will never try to sell you a treatment. If we find a problem we will issue you a comprehensive report detailing our findings and recommend that you secure treatment from a reputable termite control company. 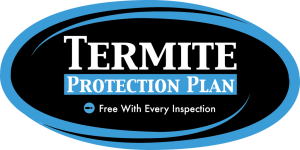 Call us today at 859-420-4872 or 1-877-INSPECT to schedule your unbiased termite inspection!